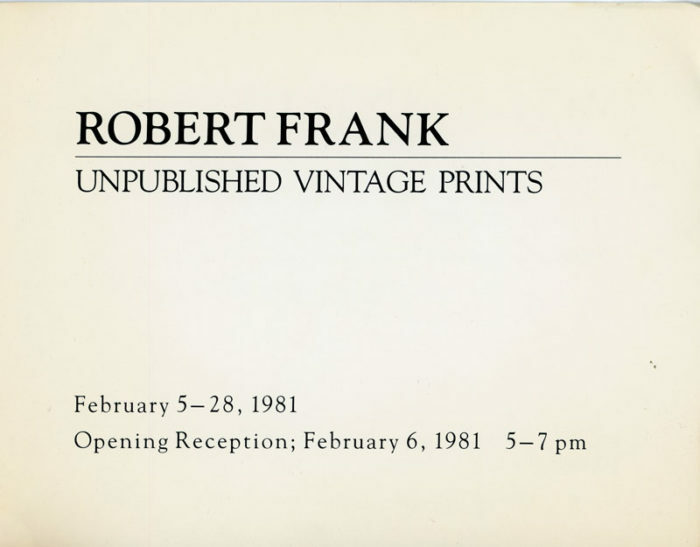 Folded card for Robert Frank’s exhibition of unpublished vintage prints at LIGHT Gallery, 1981. 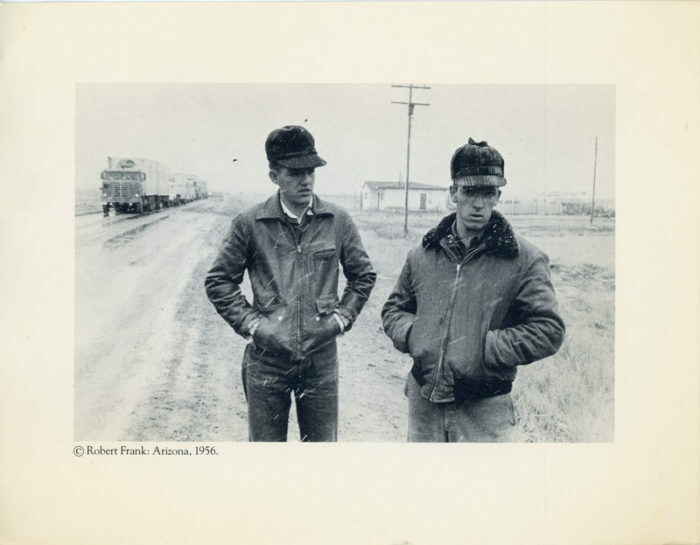 Inside of card features Frank’s photograph, Arizona, 1956. Back of card features information for Mitch Epstein’s exhibition, Egypt 1980, at LIGHT, 1981.